The Bahr el Jebel sub-basin has one of most complex hydrology in the Nile Basin. The Sudd system of wetlands, the second largest freshwater wetland in the World, is a key feature of the sub-basin. The main river, Bahr el Jebel, has river flow records since the beginning of the 20th century. 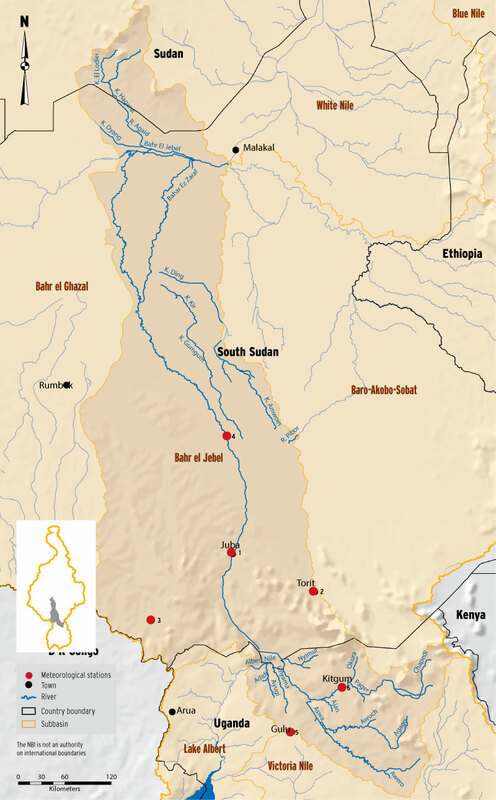 However, due to conflicts in South Sudan, river gauging was interrupted for more than 20 years. There are six meteorological stations in the sub-basin; five in Uganda and one in South Sudan. Only three full met stations are available in the entire sub-basin. There are 4 stations in the sub-basin (3 in South Sudan and 1 in Uganda). 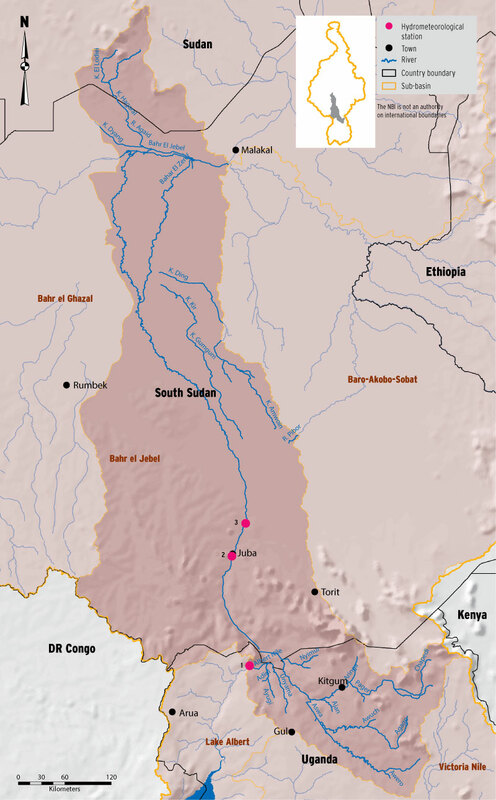 The stations in South Sudan are Bahr el Jebel at Mongala and Bor while the single station in Uganda is at Laropi. Three stations are not sufficient for this sub-basin. The hydrology of the Bahr el Jebel sub-basin has been the subject of many investigation in the past. However, there is a gap in the understanding of the interaction between the river system and the system of wetlands in the sub-basin. Severe flooding has caused huge damages in recent years but the monitoring infrastructure is nowhere near adequate. The sub-basin requires a system of monitoring that employs ground-based as well as remote sensing supported data collection and transmission.